Home > Blog > Exciting changes! Here at Admiral Charity Cards we work tirelessly throughout the year to bring you the best range of personalised Christmas cards available on the market, which is why we are pleased to announce that we have recently bought The Festive Collection. 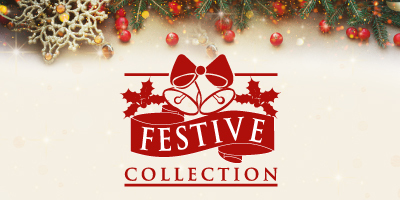 We acquired the Festive Collection back in August, meaning we can now offer an even wider choice of cards at the same great value and customer service that we pride ourselves on. The Christmas Collection and The Festive Collection will be working alongside each other to provide you with the widest range of designs on the market. From specialist new designs like our stylish, intricate laser cut cards, to foiled and embossed finishes; you are bound to find something to compliment your company. Festive Collection offer one of the largest ranges of front personalised Christmas card designs on the market, offering that truly personal, professional touch to really impress your customers and clients. Alternatively, give a personalised business calendar this Christmas, and stay at the forefront of your customer’s mind all year round.